Gang violence has been cut in half with Mark Lindquist as our Prosecutor. Under Lindquist’s leadership, the Pierce County Prosecutor’s Office was the first in the state to use conspiracy statutes to hold violent gang members accountable. Several violent street gangs have been successfully prosecuted in a series of sweeps designed to reduce gang violence in our neighborhoods. Lindquist’s office has also worked with their partners on prevention efforts so that young people choose alternatives to gangs. As part of a larger effort to reform the criminal justice system, the office has expanded diversion programs to rehabilitate young offenders before their criminal conduct escalates to violence. 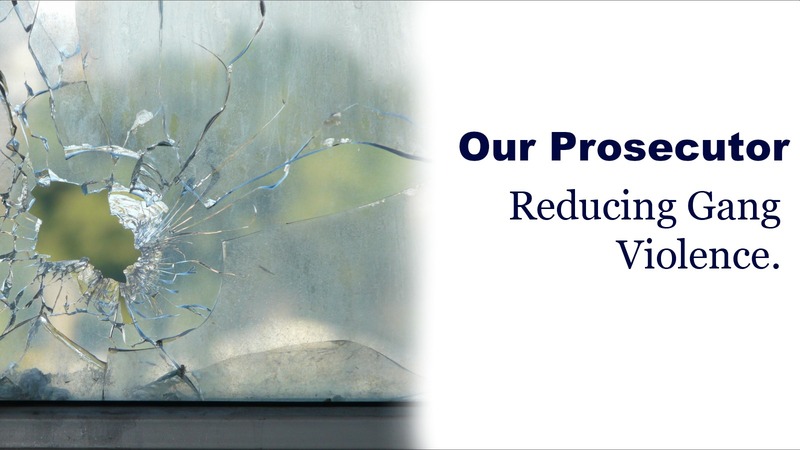 The Gang Unit in the Prosecutor’s Office is supported in their effort to reduce gang violence by the High Priority Offender Program, which was begun by Lindquist in 2015. This cutting-edge program, commonly called HPO, uses data-driven prosecution get career criminals off the streets. Using FBI numbers on serious offenses, crime is up last year by 7% in Seattle, up by 5% in Washington State, but down by 4% in Pierce County. Further, felony crimes overall are down 18% in Pierce County in the nine years Lindquist has served as our Prosecutor. Misdemeanor crimes are down 29%. Mark Lindquist has kept his promise to make our community safer.